Theodore (Ted) Gray is the owner, developer and custodian of the Online Redline Guide. For over 10 years, the OLRG has provided detailed information on the Hot Wheels product line from the redline era, '68-'77. The site features details of the variations of the diecast cars, associated track sets, promotions and mechandise. The OLRG is also the comprehensive on-line resource for information on the rare Mexican redlines made under license by CIPSA. Ted's personal collection focuses on the Hot Wheels castings which feature turbine engines such as the Superfine Turbine. 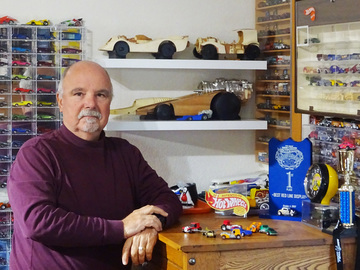 He also has assembled the most complete collection of CIPSA diecast cars to date.